I stress this because so much of hitting is the belief one can do it, and if batting average is how the players are ranking their performance, it could crush their confidence yet be totally wrong. The inability to hit MLB pitchers’ curve-balls is the number reason players fail to get, and especially stay at the major league level, which that fact alone represents the magnitude of effort required to consistently hit the pitch, but add onto that every pitcher has a different degree of success and throws different types of curve balls, and the task seems impossible. Impossible? No. Difficult? Yes. Let’s begin our education by simply seeing some tricks of the trade ball players watch for when they don’t have a scouting report on a pitcher. If possible it’s better to perform these tricks with a team mate, as sometimes you almost literally need to be looking at 2 places at the same time, plus 2 opinions collaborating is usually best. (1.) 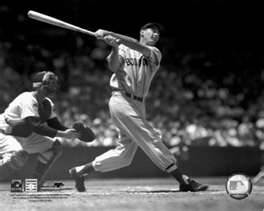 Watch the pitcher as he delivers home. Does he alter his arm angle or release point for a curve ball ? Is his arm speed the same? This is where a partner is invaluable as while you’re evaluating arm speed, the other is calling the pitch type. (2.) Watch for patterns. Does the pitcher always, or nearly always, throw a breaking ball on a certain count ? 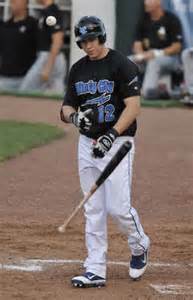 Is an 0-2 or 1-2 count always a curve ball trying to induce the hitter to swing at a bad pitch? (3.) Study the pitcher’s glove as he takes signals from the catcher, as some pitchers will telegraph their next pitch by the way they fumble around in their glove adjusting their grip for a breaking ball. (4.) When batting look for the rotation of the seams of the baseball as they will rotate different for a curveball or breaking pitch, than they do for a fastball. ** If you can detect the differences in seam rotation, whether breaking ball, change-up, slider, you’ll be able to know at least it’s not a fastball increasing your odds of a base hit. From time to time you’ll experience facing what we call a Junk Ball Pitcher, who throws a variety of different off speed and breaking pitches with a fastball that wouldn’t hurt you no matter where it hit you, yet … nobody can hit him. Facing a pitcher like this at times, requires extreme measures in order to overcome the frustration and over anxiousness while batting. (1.) 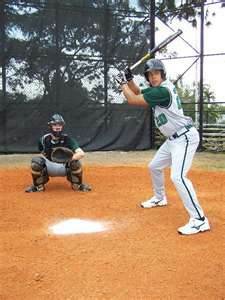 Adjusting your position in the batters’ box is another option as should you be facing a pitcher who relies heavily on his breaking ball and off speed pitches, you can either move up or back in the batters’ box. (a.) Moving up, towards the pitcher, will give you an advantage of hitting the curve ball before or just as it begins to break, but you are placing yourself in a more vulnerable position to the fastball. You can’t forget looking only for a breaking ball makes an inadequate fastball appear much faster than it really is, thus making it difficult to get around on. (b.) Moving Back in the box, away from the pitcher, allows you to hit the curve ball after or as it’s ending it’s break, which also offers more time to determine if it’s a strike or not. Any time you change an element of hitting mechanics you run a risk of negatively affecting another element, and one such problem is if you’re a pull hitter you’ll be trying to pull a pitch on the outside part of the plate, assuming RH hitter, which will not only reduce power, but often results in bloopers along the infield. The second problem is, with both of these maneuvers is you are changing what you normally do and where you normally stand, which could negatively affect your timing on every pitch. We have been talking in terms of pitchers who can throw breaking balls for strikes, but in youth age baseball, and actually the major leagues, there are very few pitchers who can throw 3 consecutive curve balls for strikes. Therefore, when you go to bat you should always be thinking fastball until you have 2 strikes. There’s always exceptions to any rule and through observing you have discovered a Pattern that the pitcher constantly throws a breaking ball on the first pitch, dig in and look for it. If he slips a fastball by you, you still have 2 strikes left. Never be afraid to hit with 2 strikes. Some hitters seem to wrongly believe once they have 2 strikes, they must swing at the next pitch because they have dug themselves a hole and the pitch may be called a third strike. 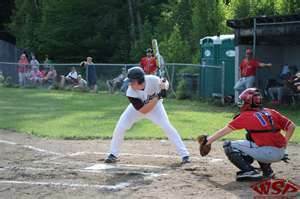 Sometimes hitting with 2 strikes can be a good thing, as it forces you to concentrate on making contact, which could not only produce a hit, but it could also produce 4 or 5 foul balls, and the more pitches you force the pitcher to throw, the greater chance he’ll make a mistake and groove a pitch. Sometimes what you don’t do while batting, is just as important as what you do, such will be the case when you experience, and you will, a game when the opposing pitcher is in a groove of throwing, getting the ball back and immediately throwing again, getting one hitter after another out. A pitcher will develop a feel for the ball, each curveball breaking harder and sharper than the previous pitch, therefore you must act to disrupt his flow and hopefully change his feel for the ball. Hitting a towering home run to break his string of outs would be productive, although a base hit is just as effective because it's doubtful as to nobody else on the team seems able to make contact, and he’d just begin another string of getting hitters out. You must take actions, with the intent to Break His Rhythm, forcing him to become uncomfortable waiting to pitch, and this can be accomplished by stalling in between pitches. After each pitch, back out of the box, adjust your batting gloves, take a couple of practice swings, tie your shoes, do whatever you can to stall. 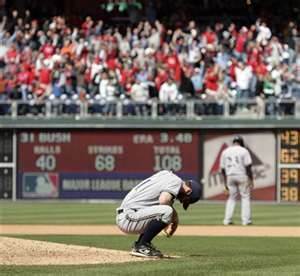 Meanwhile, the pitcher is standing on the mound, frustration growing by the second, and this disruption of his mental and emotional game can, at times, totally change the way he was pitching. Some pitchers quickly over come the issue, others are literally done for the day unable to get back into their groove.